The first Great North Run took place on 28th June, 1981 and was organised by Olympic runner Brendan Foster. 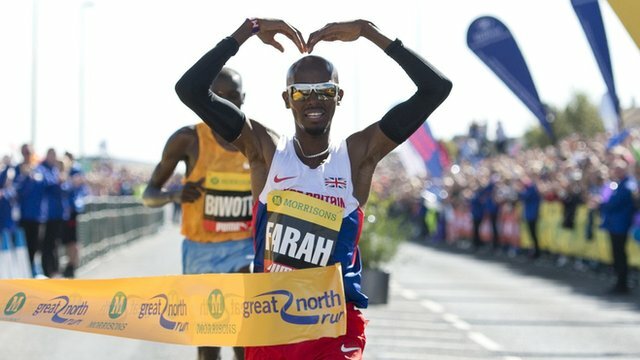 Current Men’s Record for the Great North Run is held by Kenyan Olympic runner Martin Mathathi for 58:56 in 2011. The current Women’s Record Holder for the Great North Run is Kenyan runner Mary Keitany who ran 1:05:39 in 2014. 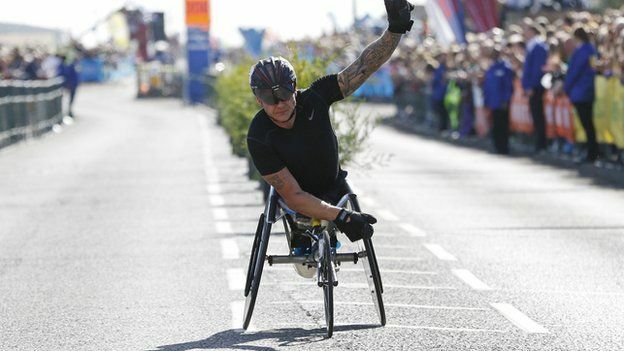 The record Men’s Elite Wheelchair Record is held by British Paralympian and Gold Medallist David Weir with a time of 41:34 in 2009. USA Gold Medallist and Paralympian Amanda McGrory holds the current Women’s Elite Wheelchair Record with her time of 49 minutes and 47 seconds, achieved in 2009. 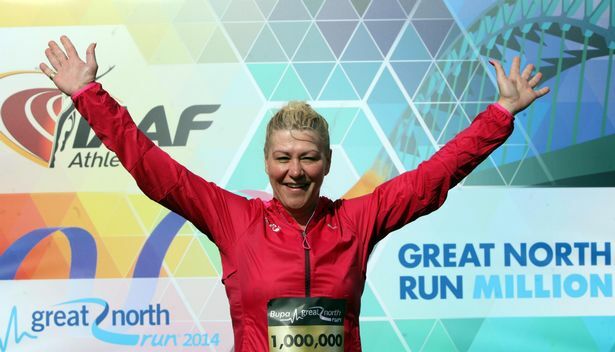 The One Millionth runner to cross the finish line of the Great North Run was Tracey Crammond in 2014. Newcastle football star Kevin Keegan once donated £290 to a charity after making a bet to donate 50p for every runner who beat him to the finish line. He finished in 490th place. It is estimated by medics that collectively, runners with take more than 11.5 million breaths during the race. The Great North Run beat records held by the Gothenburg Half Marathon in 2011 as the World’s Largest Half Marathon with 54,000 runners taking part that year. The traditional ‘Oggy Oggy Oggy’ chant usually used at the Great North Run event is said to have roots in Cornwall. There are multiple theories on the origins of the chant but the most prominent comes from ‘Oggy’ being a slang term for a Cornish pasty. It is said that pasty sellers would shout this at Devon and Cornish sailors or labourers, expecting the typical ‘Oi Oi Oi’ response. This was adopted by the Navy in the Second World War before being used at football and rugby matches throughout the 1960s onwards. There are 12 Metro Stops along the route of the Great North Run; Jesmond, Haymarket, Monument, Central Station, Gateshead, Gateshead Stadium, Felling, Heworth, Pelaw, Bede, Chichester and South Shields. Tony ‘The Fridge’ Phoenix Morrison has ran the Great North Run over 15 times with a 40kg fridge on his back. Dunkirk War Veteran ‘Jarra’ Jim Purcell is one of the oldest people to complete the Great North Run at the age of 94. Jim has taken part in the run for the past 28 years and in 2015 was pushed along the route in a wheelchair when he was told by doctors that he could not run the 13.1 mile route due to knee troubles. Jim who has carried the Olympic torch for London 2012 began running at 65 and completed his first half-marathon in 1985. In 2015, Gladys Tingle from Lincolnshire also completed the run at the age of 84, making her one of the oldest female participants. 69% of runners taking part in the Great North Run are aged 40 and under. The finish line of the Great North Run is, on average, only in use for four hours out of the day as this is usually how long it takes everyone from the first to the last finishers to cross the line. 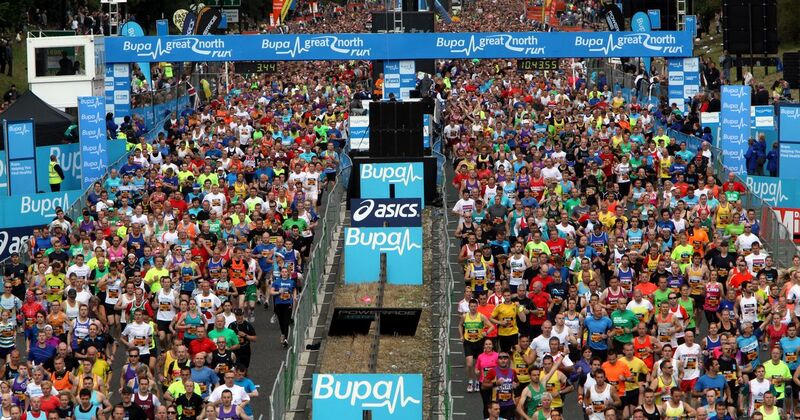 The average finish time at the 2015 Great North Run was 2 hours, 12 minutes and 19 seconds. It takes almost three miles of ribbon and 243kg of metal to produce every finisher’s medal at the Great North Run.